At times it feels as if the music world has slowly coagulated, with most everyone picking one of three places to try their luck. The flip side is that you can hunker down on a remote strip of dirt with a good wifi signal and be just as connected. But have the great small-town midwest artists been lost in the transition? Oliver Hazard’s rise would signal otherwise. 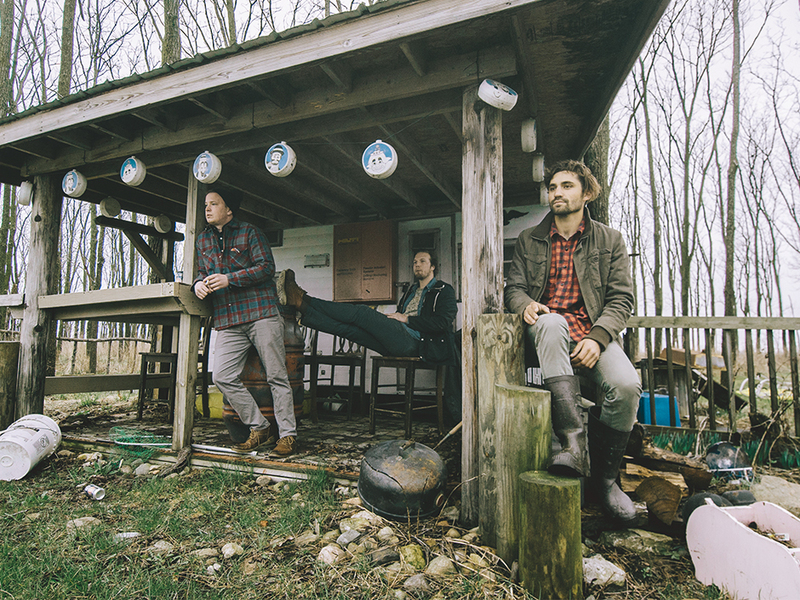 Formed in Waterville, Ohio, the trio and friends that make up Oliver Hazard captures something no city slicker could. At the music’s center is a classic Americana spirit, combined with a humble folk tradition. On their debut album 34 N. River, the three part harmonies elude to some bluegrass leanings, while the entirely acoustic setup provides an intimate scene. Upbeat tracks like “Jealous Man” and “Caeser Knows” hark back to more youthful days, with an almost irreverent playfulness the likes of Paul Simon’s “Me and Julio…” On softer tunes like “Bloodhound Blues” and “Comfort Me” to the more riled up “Train Track,” there’s a rustbelt edge — raw and unfiltered, it reveals that these guys have been witness to the oft forgotten, but much sought after side of America many consider lost. Oliver Hazard prove you just have to know where to look. Listen to Olive Hazard’s debut album, 34 N. River below, and read on for the band’s quick fire hometown guide. Cocina De Carlos: We love their margaritas and $1 tacos. Mad Anthony’s Tavern: Beers are $1.50, they play our music, and the lighting is great. Dev orders a drink named after him. It is called “The Dev.” (Absolut, orange juice, and a splash of grenadine). Dales Diner: the staff is friendly and we know the owner. Kam Wah Chinese Restaurant: It resided next door to our house. We used to drink hot sake there. it was knocked down this year. Super underrated building. The Columbian House, it’s haunted. 3rd Street Cigar shop: they book national blues acts and it was the site of our first show. Mad Anthony’s Tavern, the only karaoke in town. We sing the same song every Friday. Garden Smiles, they make faces out of rocks. We hope to be chiseled into a rock one day. The Maumee River. It’s not the greatest river, but it’s the only one we have, so we are proud of it.